Many people fondly remember their high school proms. But while proms make great memories, they also can break the bank. Prom can be an expensive rite of passage. 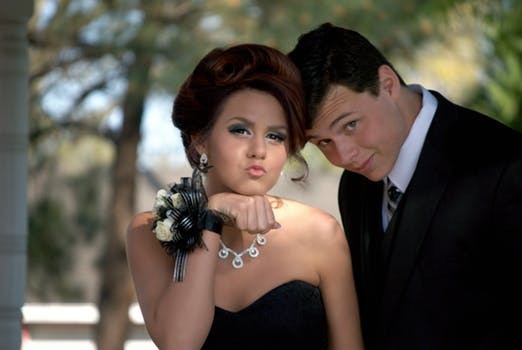 A 2015 survey from Visa indicated the average American family planned to spend about $900 on the prom, with parents contributing as much as 75 percent of those costs. Similarly, Visa Canada’s survey showed households with teens were prepared to spend an average of $500 on prom in 2015. And spending on the prom isn’t all that’s contributing to the event’s final price tag. There’s the “promposal” to factor in as well. In Canada, many teens spend about $150 just to ask out a potential prom date, and Americans can spend more than double that amount on their promposals. Tickets, transportation, attire, grooming treatments, meals, and several other factors can add up to make prom very costly. However, those feeling the potential stress of the prom bill can explore various ways to cut those costs. · Search for deals. Subscribe to mailing lists and download deal-finder apps like the My Franklin Shopper App & don’t forget about searching our online site or picking up a copy of the Franklin Shopper locally! If there’s a particular manufacturer or store that you prefer, subscribe to their mailing list, which might make you eligible for “insider” deals. · Shop early. Get a jump on prom shopping and possibly save some money by shopping early for prom wardrobes. Girls can shop when party dresses are on discount after New Year’s Eve galas. Waiting until prom season to shop for prom night attire can be a costly mistake, as dresses and formalwear tends to be expensive come prom season. Guys can shop sales as well if they want to make a splash in a custom suit. Otherwise, guys can rent tuxedos to save money. · Go supermarket floral. Supermarkets and warehouse clubs may offer discounted prices on flowers, which promgoers can fashion into boutonnieres and corsages. Also, nothing says you cannot pull a beautiful bloom out of your home garden as well. · Be your own paparazzi. Smartphone cameras now have excellent capabilities, and certain apps can apply filters and fix minor flaws easily. Pair with a coupon for discount photo prints, and soon you’ll have a frugal photo memory book or wall portrait. · Savings in numbers. See if a particular vendor will cut costs if you book services with a group of friends. Retailers will be guaranteed the sales, and promgoers can save some money. Prom is meant for making memories, not getting into debt. Save money with smart shopping.